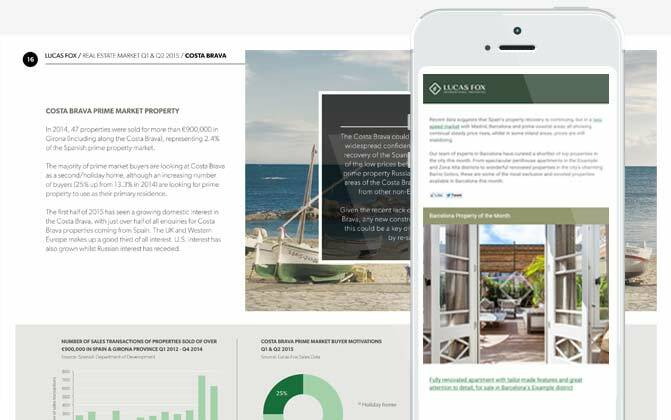 At Lucas Fox, we are proud to offer some of the best newly renovated homes and new developments for sale in Costa Blanca. 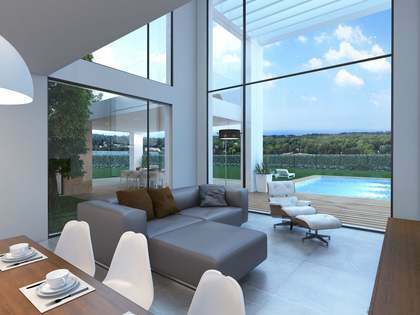 Lucas Fox offers a wide range of new build developments in Costa Blanca, one of the best coastlines of the Spanish Mediterranean that extends from Dénia to Torrevieja .Find modern design houses, villas, penthouses and apartments with the finest finishes, along with the latest technology on the market. 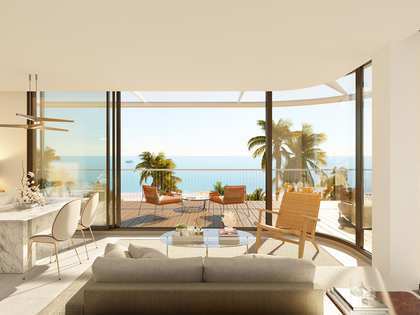 The new developments offered by Lucas Fox in Costa Blanca are located in the best areas of coastal cities in the province of Alicante.Lucas Fox new development properties on the Costa Blanca is located in major towns such as Alicante, Elche, Santa Pola, Benidorm or Dénia. One of the main advantages of the Costa Blanca is the direct connection to Madrid. The trip to the Alicante beaches by road from the capital takes approximately four hours, while the AVE makes the same trip possible in less than three hours thanks to the Madrid-Alicante high-speed connection. Likewise, Alicante has an airport with multiple destinations on the Penínusla and the islands, throughout Europe and even in North Africa.For this reason, making an investment in a new development on the Costa Blanca is a safe bet whether it is for a first or second residence, or if you are acquiring a property to rent. 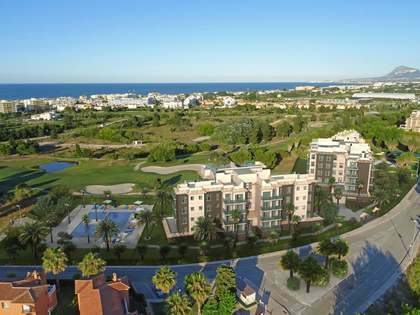 Bu acquiring a home inn one of the new developments in Costa Blanca will allow you to enjoy more than 170 beaches and coves, as well as all water sports and sailing, besides being able to enjoy the 21 golf courses of the province. As if that were not enough, Alicante and its coast ensure more than 300 days a year of sunshine. What's more, the historical heritage of the Costa Blanca is unique.Elche and its palm grove, considered a world heritage site, the beach of Alicante and its esplanade or the Dénia castle and the Montgó Natural Park provide outstanding history and landscapes.Furthermore, the Arab legacy left in this area can be seen reflected in the local architecture and culture, echoed in the daily life of Alicante. 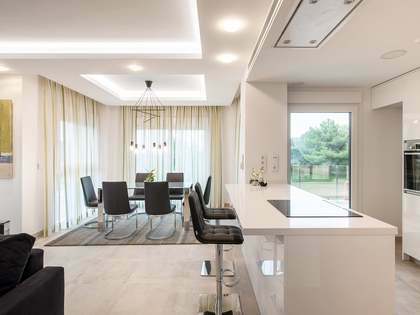 In Lucas Fox we have the best developments offering new build houses and apartments for sale in Costa Blanca: these new buildings have the most contemporary designs and first class materials, in addition to having the latest technology in home automation. The real estate agency Lucas Fox has luxury homes designed by the best architects of the moment and located in the most privileged areas of the Costa Blanca.The homes in our portfolio are located a step away from the beach and near luxurious marinas and, in most cases, within exclusive residential areas for those seeking privacy. Discover our new build villas, houses and apartments for sale in Costa Blanca, a unique opportunity both for those looking to have a permanent residenc or holiday home and for those who want to make a long-term investment in the Alicante coast.Lucas Fox offers the guarantee of a highly professional company that seeks client satisfaction across the range of services offered.